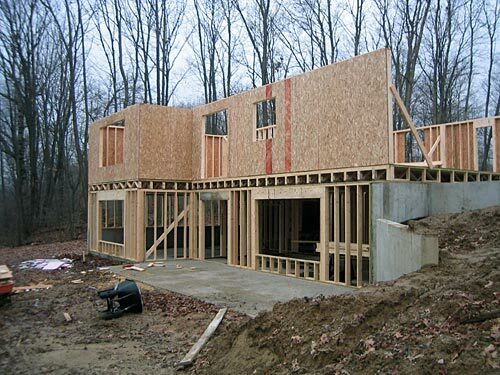 Summary: The three basic types of house foundations are basement, crawl space, and concrete slab. 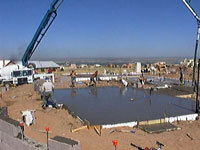 Home foundations form the basic structure of any new home. 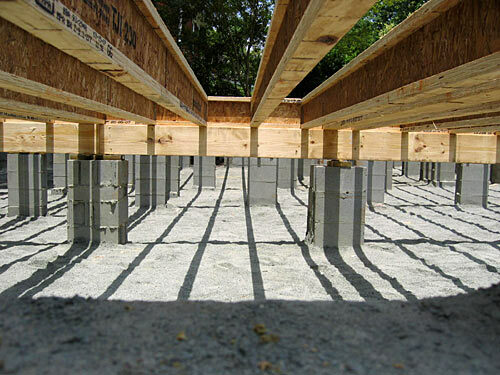 All three types of house foundations can be combined and used in one house. 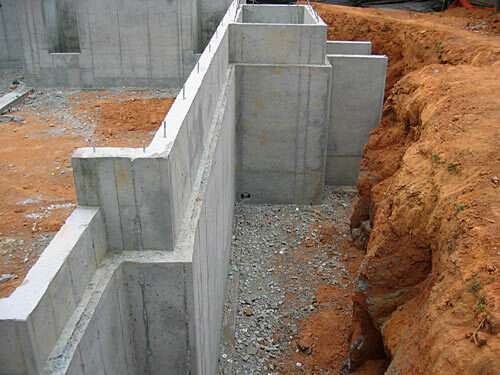 Full Basement Foundation: Has either poured concrete walls or block and mortar walls and a poured concrete slab floor. The load bearing walls of the house are supported by the both the foundation’s perimeter walls and structural cross beams and/or posts and beams. 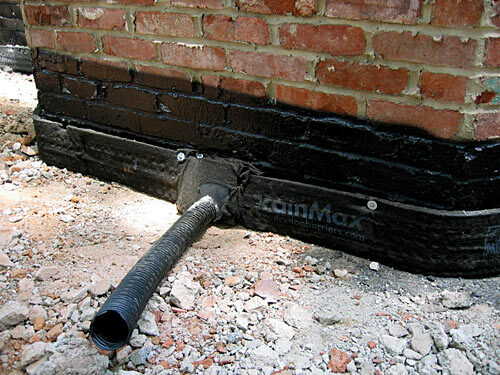 Crawl Space Foundation: Utilizes either pier construction with brick or block veneer curtain walls (see photo below), or solid poured concrete walls for supporting the perimeter walls of the house with either piers or beams for supporting the house’s interior load bearing walls. 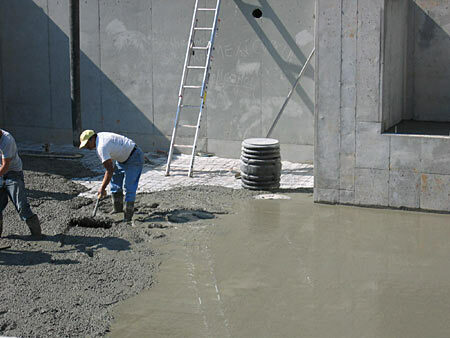 Concrete Slab: As the name implies, the foundation consists of slab of concrete poured directly “on grade” (on the ground) that is thicker around the perimeter and under the interior walls of the house to carry the structural load. 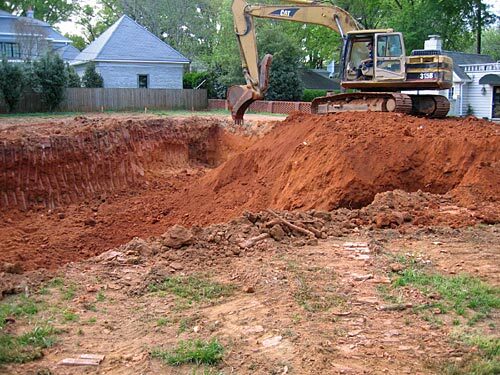 All three types of foundations can be combined from time to time and used in one house. Note: Slab construction can also have the slab raised above the existing grade in areas that are not level (sloped), prone to heavy water drainage, or for pure aesthetics (curb appeal). 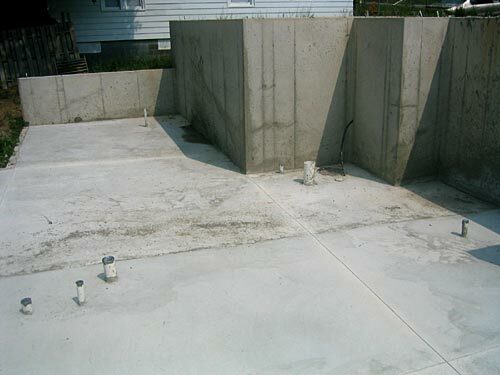 This is called a Raised Concrete Slab Foundation and is accomplished by pouring the slab on a raised perimeter wall made of poured concrete or masonry block. These perimeter walls are built to the desired height, then fill dirt is placed inside the perimeter, tamped down, then topped with 4-6 inches of sand or gravel for drainage. 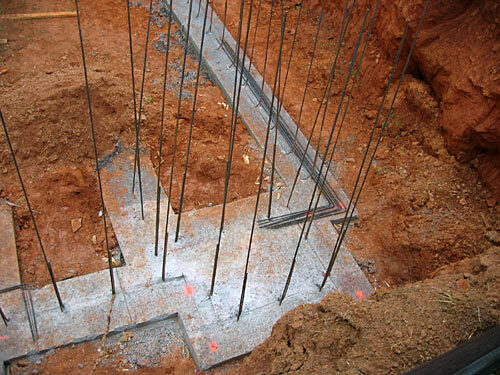 Piers or thickened slab areas are used to support the interior load bearing walls of the house. Sort of like the T-Shaped slab pictured below, only the slab portion is raised higher.